Continuing on the delivery of the early insights into the third version of the customer service adoption and usage study we are conducting with our friends at KANA, A Verint Company (the summary of early findings is here, and the findings on social can be found here, mobile here, and operationalization of customer service here) I’d like to explore the rise of chat in contact centers. Chat has had a love-hate relationship in the contact center since its early days in the late 1990s. Early on touted as the replacement for the telephone (with many advantages over it) due to the low-latency nature of its operations, chat has succeeded (few times) and failed along the myriad electronic channels we brought along to form a contact center. The original idea for chat was multi-tasking agents who could handle many instances at once thus surpassing the power of the phone that mandated a single interaction at the time. We never quite had the ability to master both the multiples and the associated tools and automation to make it work. Since its inception we have been trying to find a workable model, but email had gained more acceptance in the meantime. The advent of social and online communities, together with the rise of adoption of electronic channels by customers and the “long waits” of email, created a good environment to try again. A channel that traditionally saw adoption and implementation rates in the single digits (average adoption rates for the early 2000s through 2010-2011 had been 2-4%) has been steadily growing in the past few years per the data. Indeed, adoption of chat in 2013 was 14%, rising to 35% in 2014. That is across the many different models we asked about (with and without automation, with and without co-browse), but each of the models has seen a similar rise. Email doesn’t always cut it. In spite of email having gained universal adoption (with adoption rates toping 98% in the past three years), the demand for resources, the latency in responses, and the overall impatience of the customers make it an effective but stale resource. Automation is working better. The early chatbots and virtual agents required too much maintenance and couldn’t integrate into existing resources well or easily. The latest generations of virtual assistants and intelligent assistants are working much better. People are more used to chatting. Today’s customers are so used to electronic channels and communicating electronically that the early resistance from them (“I want to talk to a live person”) has all but disappeared. We are seeing significantly lower rates of dissatisfaction from customers with chat as resolution times get faster over email and simplicity takes over as well. Technology has evolved to make it useful. One of the critical aspects of any electronic channel is the ability to make it easier and better for customers to get their answers. 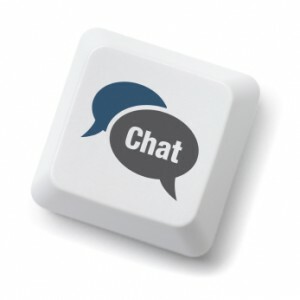 While the original chat solutions required software implementations and lacked sufficient security and privacy resources, the latest implementations have covered all those aspects and even created platforms for multi-channel automation that show good results. Of course, among the many interviews there was also a common cry that we know it is the reason this is working better this time around (chat enjoyed a 30%+ adoption rate in 2000-2001, but flopped after it): organizations have found the best situations to deploy it, and have tied it into the other existing resources (KM, Queuing, etc.) to ensure it works the same as other channels. What do you think? Have you adopted chat lately? What has been your experience? Let me know in the comments down below and we can discuss the silent rise of chat in the contact center. Disclaimer: KANA, A Verint Company, is a client and the sole sponsor of this research report. While they get input into the topics to survey, and provide feedback on the thesis before we start, the final decisions on content, questions, and analysis remain mine. There is no input from anyone else other than thinkJar and its employees (which, as you know, it’s just me) in making content and editorial decisions on the study, findings, and reports. All data is propriety of thinkJar and not shared or distributed.